I am writing to let you know that the installation of our Century furnace in our new home was completed near the end of last December. As you know our Century is connected to an air handler with an auxiliary electric coil for times when we are not able to tend the fire, What you do not know and what I am proud to tell you is that our first electric bill for our first January – February occupancy period for our new 2800sf home was in the amount of $88.00 for lighting and heating. This period included some of the coldest weather we have had in a number of years. Needless to say we are extremely pleased with the performance of our Century and thank you for your assistance in designing our homes HVAC system. In addition to being efficient you can see for yourself in the photo below how beautiful it is. 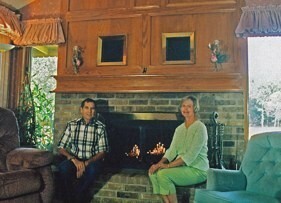 Mr. & Mrs. Ron S.
We purchased a Century Fireplace Furnace when we were building our new home. We wanted more than just a pretty firepalce as we were concerned with the ever increasing cost of home heating. 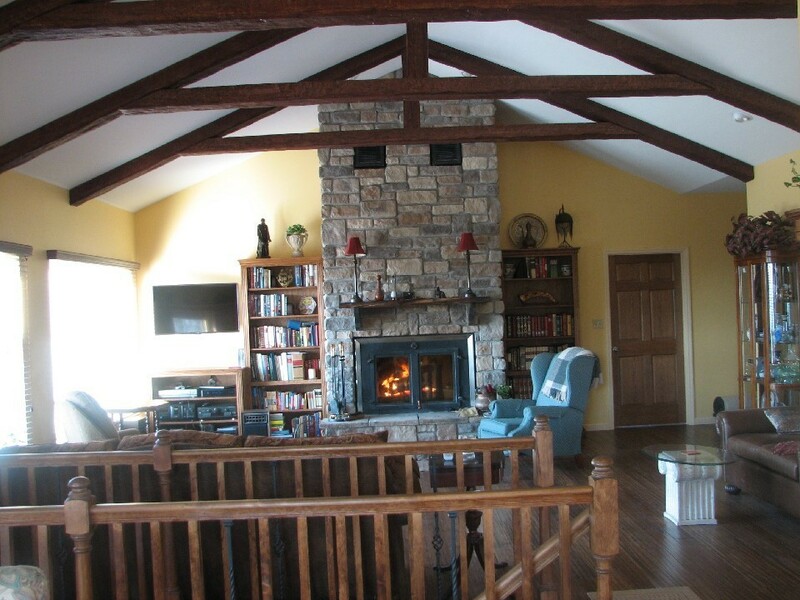 Our house was over 5,000 square feet of living area and we were amazed that the Century Fireplace Furnace was designed so we could tie it into our central heating ducts. The Century can heat our entire house plus a three car garage. We live at a 7,000 foot elevation in Northern Arizona where we get plenty of snow, and our winter daytime temps range in the 20’s and 30’s. We were amazed to find that the Century heats our 2,700 sq. ft. home entirely (We have no other heat source). In addition, Bob and Dolores at the Century office have gone above and beyond their call of duty in their helpfulness and service. We’ve been treated as friends and not just as customers. Thank you so much for all your help and friendship. We truly appreciate it!